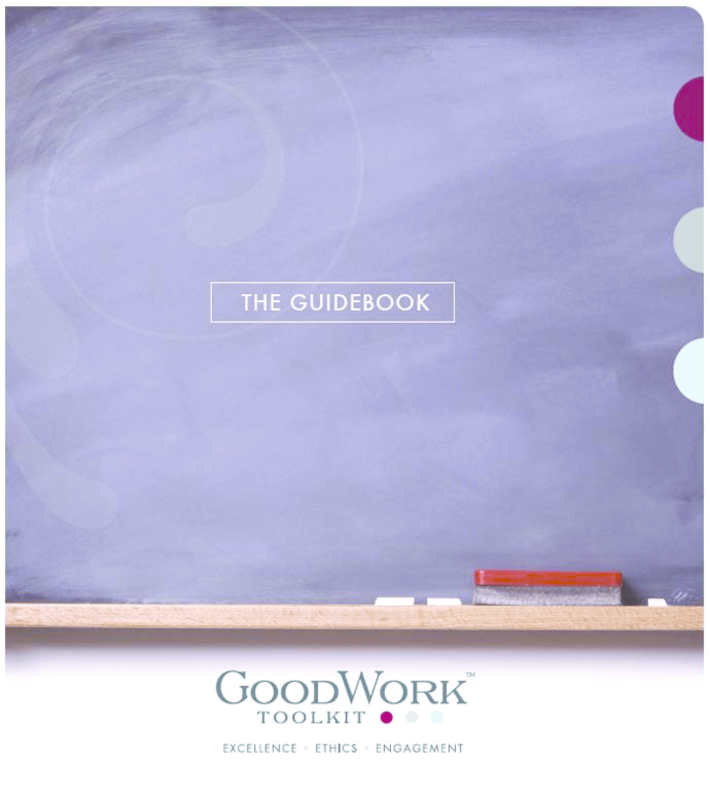 The GoodWork Toolkit is not a prescribed curriculum; it is called a "toolkit" because it contains a variety of tools that may be used in a number of combinations. Its design is grounded in our own experience using the materials with educators and students, and in research about human learning and development. In short, we know that just teaching about good work is not sufficient if we hope individuals will actually do good work. The Toolkit is based on a set of principles about how to most effectively encourage individuals to care about and to carry out good work. The materials are designed to guide participants through a series of questions central to understanding the importance of good work in our society. Copyright 2010 The Presidents and Fellows of Harvard College on behalf of Project Zero. All rights reserved.